The River Stour Trust runs regular working parties to maintain the locks and structures in its care. The Trust also undertakes specialised projects to restore and conserve the right of navigation. We are keen to establish any special skills that volunteers may be able to offer such as carpentry, building skills, engineering, ground care and maintenance together with any tools and equipment you could bring with you on the day. We run safe working parties and ask that you follow any instructions given to you regarding this important matter. 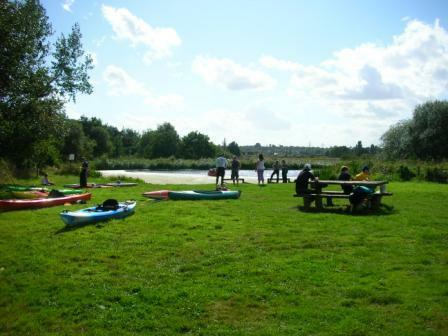 We have regular work parties around the River Stour Trust sites at The Granary, Sudbury and the Visitor/Education Centre at Great Cornard. This team is vital to maintain the Trust’s riverside venues and the 3 mile stretch of navigable river between Sudbury and Great Henny. A small group of dedicated volunteers (sometimes only two people!) participate in a range of activities from simple gardening tasks and paint jobs to building jetties and clearing the river. These working parties are generally held on Wednesdays and regular attendees are kept informed of planned tasks and projects. We need voluntary assistance to help maintain this vital river access point at the end of the Navigation. A maintenance program will be implemented and our Site Director,John Morris, would be very pleased to hear from you. Click here for more details. We are currently restoring Stratford St Mary Lock to open a further three miles of the navigation. There are two main phases for this project requiring the use of machinery such as big pumps, mini diggers and power barrows. The environmentally sensitive nature of the site means we can only work there during a few summer months each year.